I recently got to play with the new Pentax K-5 and K-r briefly when I bumped into Brett from Teltron (the local Pentax agent) at my local Foto First which has recently undergone a revamp. We got to chatting about these new cameras which had just arrived at the store and he took a few minutes to take me through them. For my first impressions, read on. Now we did get an opportunity to play with them among crowds of other people at Photokina so it was great to have a little more time to play with these in the store. The thing that amazed me the most about both these cameras was just how quiet they are. I cannot think when last I used a DSLR that was as whisper like as both the K-5 and the K-r, I would even venture to say that these cameras are quieter than the mirrorless Sony NEX range. Both these cameras have great specifications. 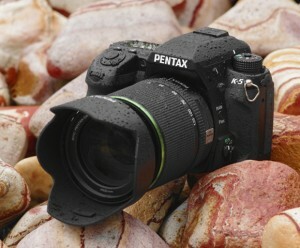 The K-r which is a focus model for Pentax in South Africa has a 12.4mp CMOS sensor with ISO sensitivities up to 25600. It also shoots up to 6 frames per second. The K-5 is in many ways the new king of the hill for Pentax and has some great improvement over the K-7. First off the is the 16.3mp CMOS sensor, the fantastic all weather seals and 7fps. ISO can go up to 51200. All in all I still think Pentax offer great value for money particularly if you don’t see yourself as need to go to a full frame sensor in the future. We hope to get our hands on review samples soon.